The museum's most valuable resource is you! Without the support of our visitors, members and volunteers, the museum would not be able to continue its mission. There are many ways to give to the Rutgers Geology Museum, with many benefits and privileges available to you in thanks for your generosity. We thank our members and donors for their ongoing loyalty and enthusiasm, and look forward to working with and making new friends as we continue to expand our reach and make a lasting impression. Check out the many ways you can help support the Rutgers Geology Museum. 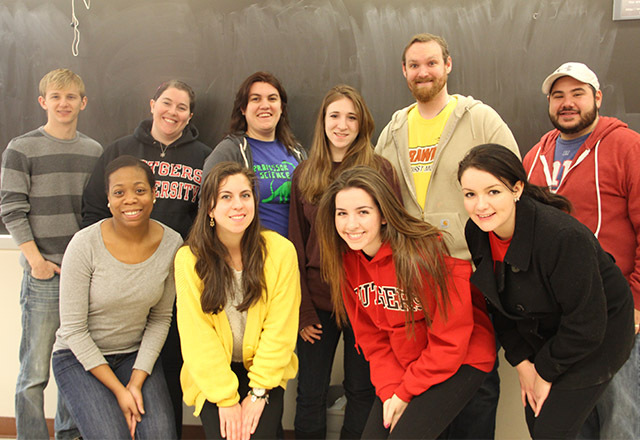 Get involved and become a Rutgers Geology Museum Volunteer. Become a member of the Friends of the Geology Museum. Make a Donation to the Rutgers Geology Museum. 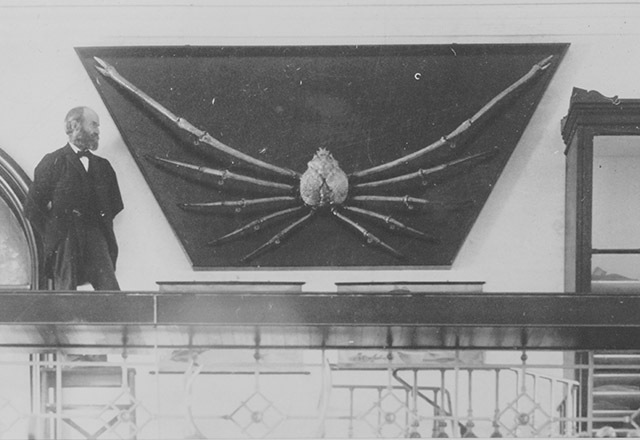 The giant spider crab was gifted to Rutgers College by the Japanese government during the late 19th century. This gift was extended during a period of cultural and educational exchange. Unfortunately, the giant spider crab exhibit was taken down during the early 1980s when visitors began breaking off pieces as souvenirs. 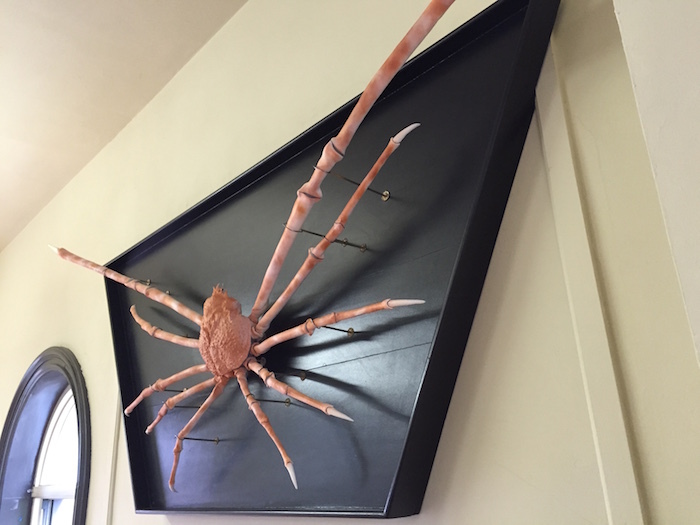 After a 3-year restoration project funded by donations from the Friends of the Geology Museum, the giant spider crab was returned its original location in the spring of 2015. We are very grateful to all the members who contributed funds to this project and invite everyone to come visit the museum to take a peek at this colossal crustacean. Read all about the return of this historic specimen in this Rutgers Today article. The museum staff is constantly working on new concepts and exhibit designs to intrigue and educate our visitors, but we need your support. Make a donation to our general exhibit renovation fund or select a specific project. The Geology Museum will work with the Incorporated Research Institute for Seismology (IRIS) to create an interactive touch screen exhibit. This Active Earth Monitor exhibit will illustrate the dynamic nature of the Earth and let visitors learn about and explore earthquakes from around the world in real time. Donations would go towards the purchase of the computer equipment, kiosk, and installation of this exhibit. To find out more information about specific projects or for more information about supporting the museum, please contact museum director, Dr. Lauren Neitzke Adamo, through our website. 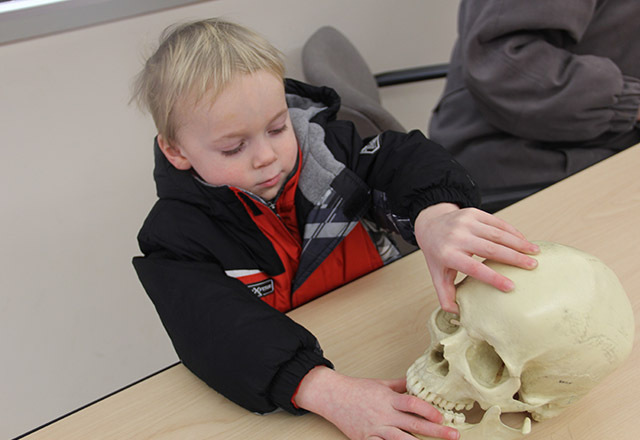 Help the museum continue its education and outreach programs at minimal cost to schools, special interest groups, and the public by making a donation to "Rutgers Geology Museum" through the Rutgers University Foundation. Plan your visit and see our hours of operation. Are you with a group? Find out more about scheduling a guided tour. Find something that interests you at one of our events.